March 2016: UPDATE – Pat’s Concrete is still open and in business, and is NOT being forced to close any time soon! 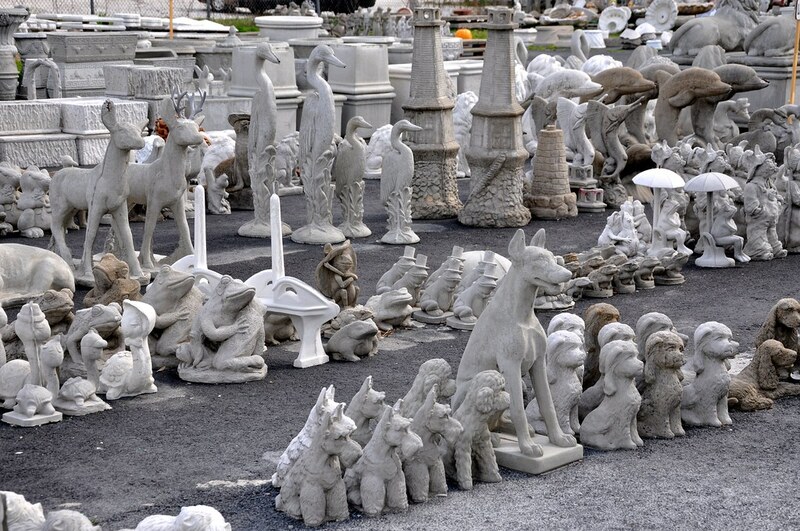 I have updated my original post from 2014 to reflect the current business status and encourage you all to visit and order your lawn ornaments just in time for spring! 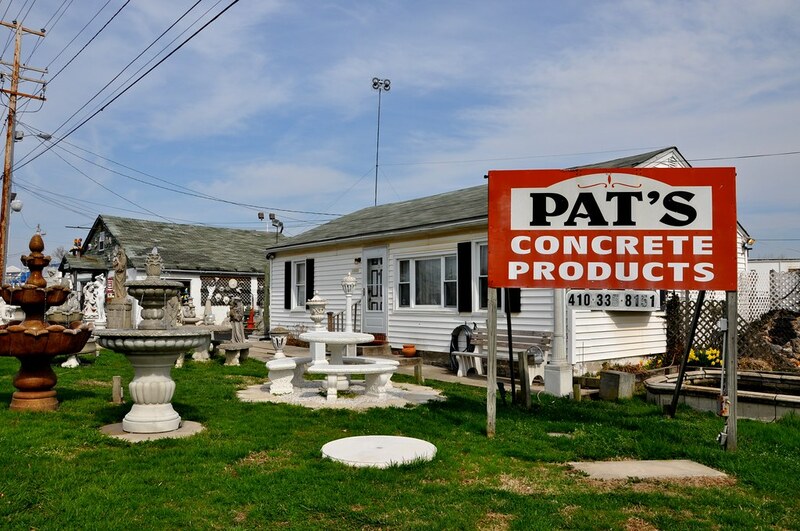 Pat’s concrete is a White Marsh MD roadside landmark since 1955 opened up by Pat Guldan who still lives onsite and runs the business. 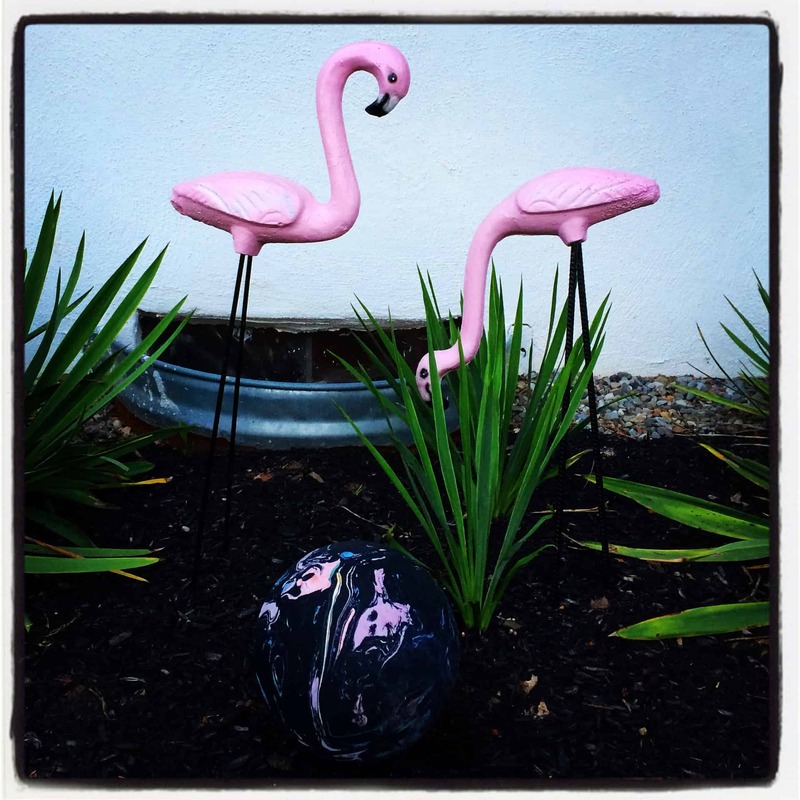 Mod Betty LOVES lawn ornaments made from original vintage molds, and Pat’s has ’em! 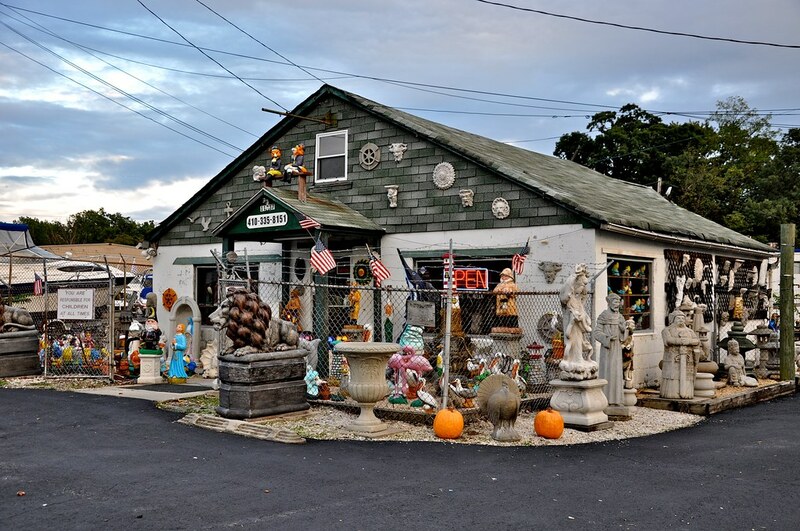 The shop (adjacent to her home) is a veritable treasure trove of fun and classic authentic vintage concrete lawn ornaments and yard art, most all of it made in the USA – in fact most of it made directly behind her house, using vintage molds that she’s had – and made – ever since she opened. A small coterie of helpers does the pouring and painting, but this is really Pat’s Place, and I want to show you why I think this place is so special. 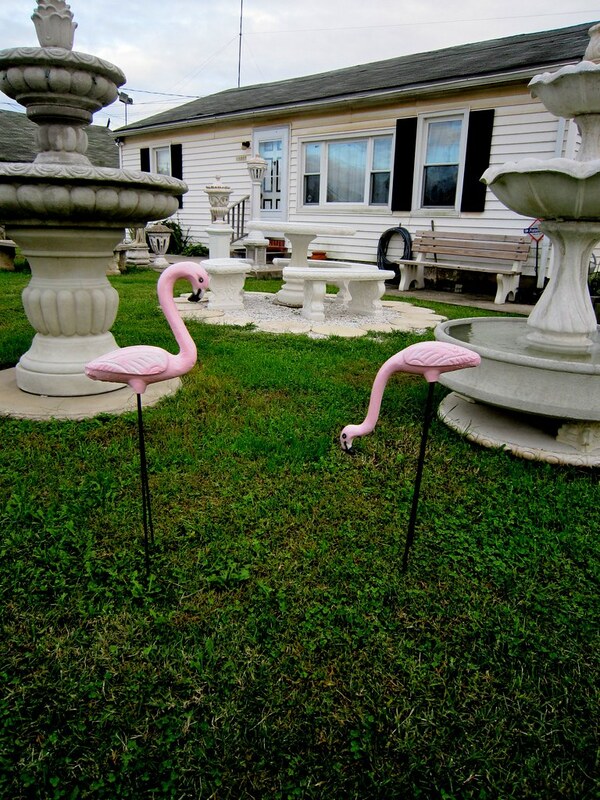 But then, as I was whizzing by on the way home I could not believe what I saw – a rare pair of concrete lawn flamingos in perfect shape, in the wild! Kitschionados know how rare this bird sighting is – with their delicate necks and heavy bodies perched delicately on rebar legs, many of them don’t last if not properly cared for. 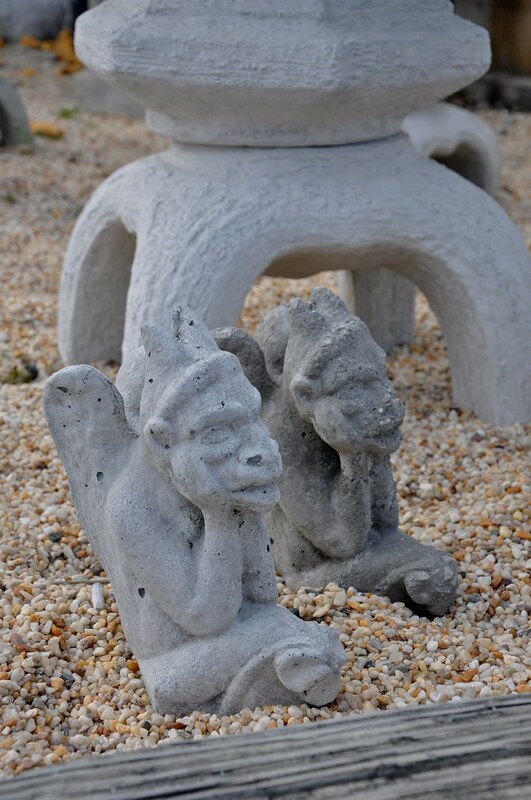 I’ve been looking for these for YEARS so I made a complete U-turn and pulled up to examine them more closely and knew immediately that I needed to take them home with me. 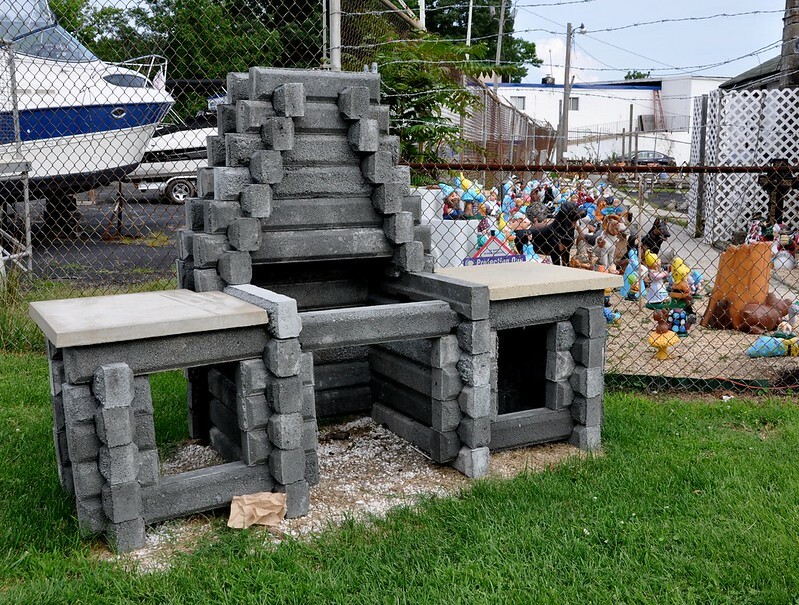 And if you need the big stuff, she’s got that, too – including THE PATIO KING! There were only 3 machines ever made to create the “Lincoln Log” type blocks that make up these vintage outdoor grills, and Pat has one of them! I made the rounds, noted some items for future Hacienda decorating possibilities and had a swell chat with Pat as she rang up my purchase. She started the business back in 1955, and originally this was a part-time thing she did after she’d come home from working at the nearby Gleneagles Raincoat factory. She said she would have people waiting for her to get home from her factory job and open up her shop, so she made a choice to go full time and has been ever since. Working with her husband, they’d originally buy the aluminum molds available, but then she later learned to make molds using latex and fiberglass. 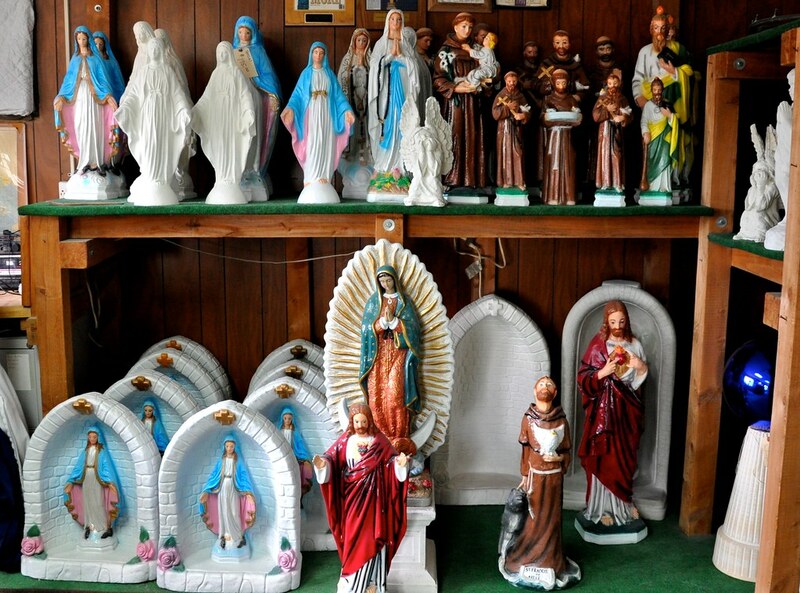 Their religious statuary is used in many local churches and they also offer repair and repaint services AND deliver locally. She’s lived in the adjacent house for years with her mother – who recently passed away at the age of 103. In addition to her canine pal and trusty side-kick she keeps the colony of feral cats in the back lot fed daily. In working so hard all these years to keep the business going, she laments missing many family gatherings because of the shop, which is especially heartbreaking considering this sudden drastic change of heart with her bank. This is also a bummer for those of us who love these places that keep our land interesting and unique. 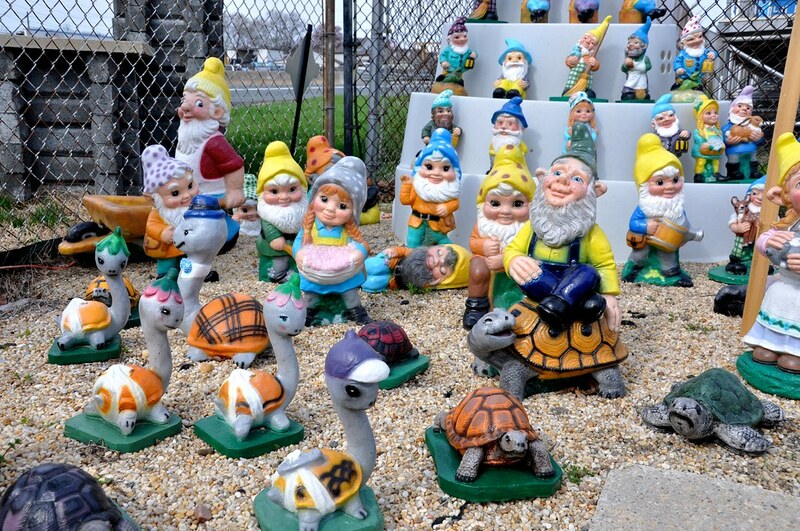 Whenever the business closes and is sold, no one today will keep the tradition of lawn ornament-making going. 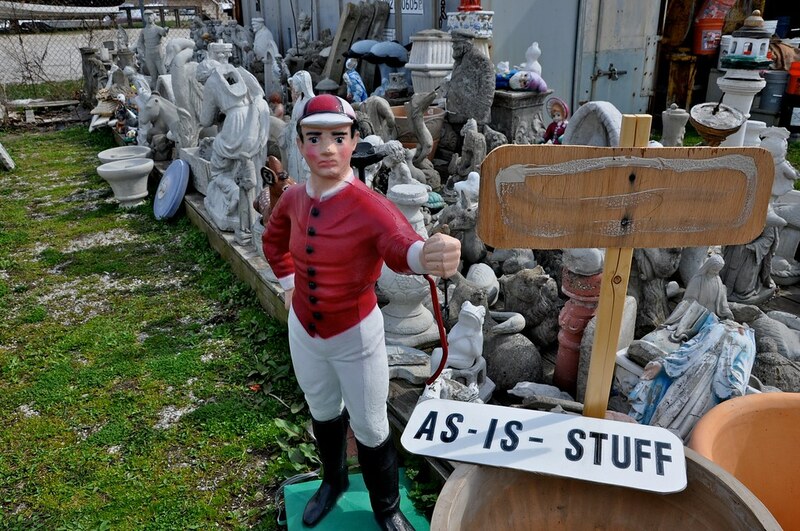 All of this great stuff and history will go into the dumpster and be lost forever. This is why Mod Betty wants to show Pat some support! 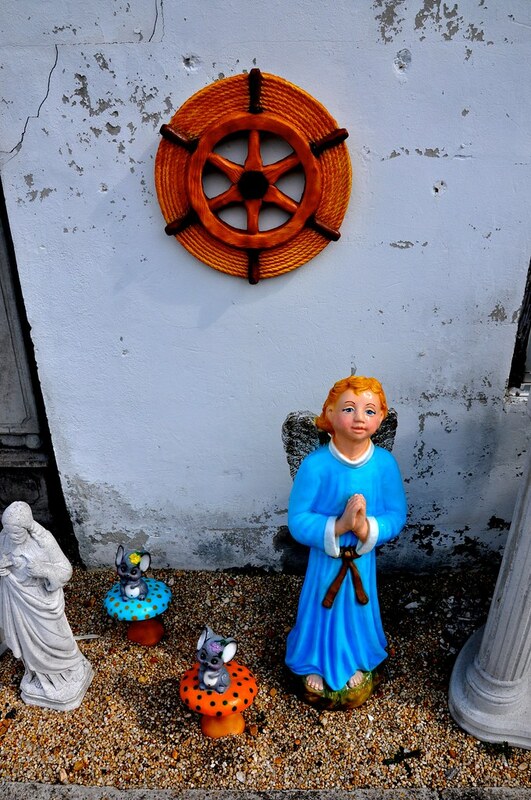 She’s worked hard all her life making these pieces that cheer up our lives as we drive past yards decorated with them, and I think it would be nice to show her some appreciation. 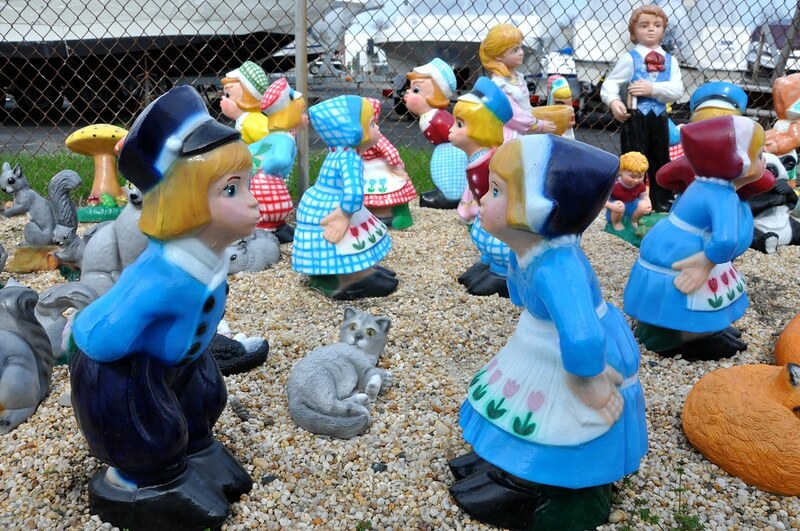 AND to add some fun kitsch to your life at the same time! 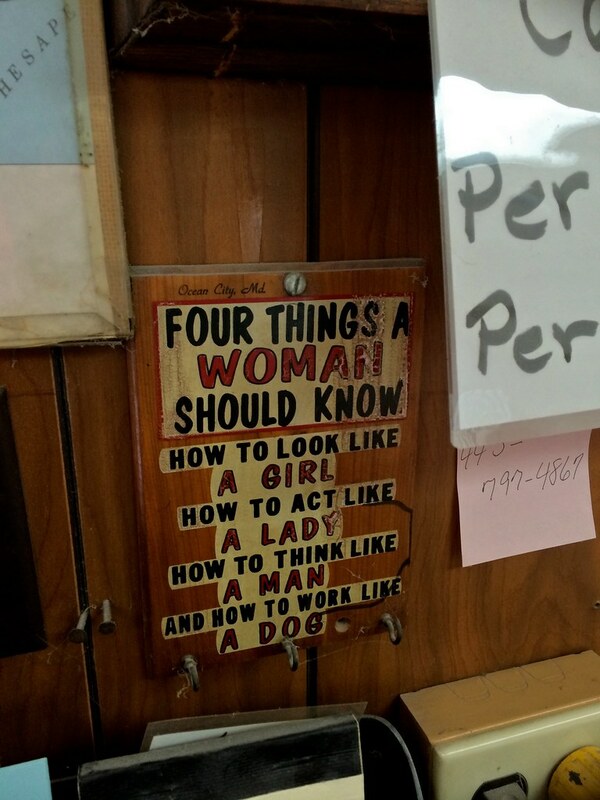 Go to her shop and buy something! 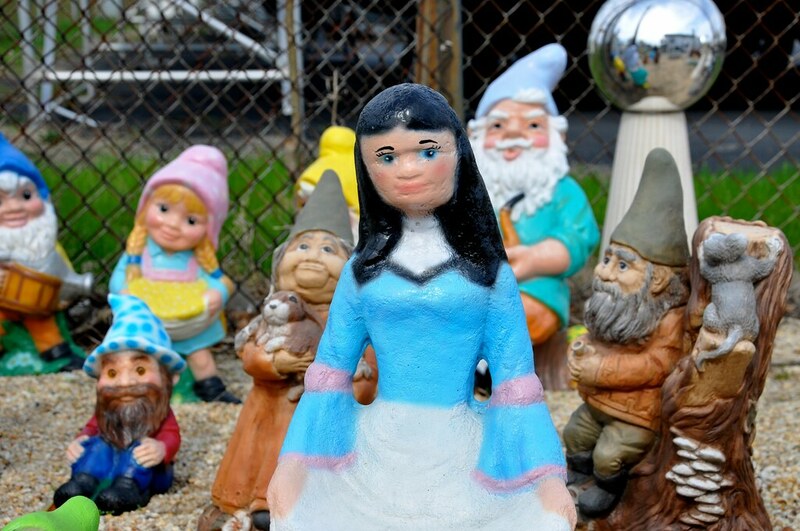 She’s conveniently located just a few miles off of 95, north of Baltimore and open 7 days a week. 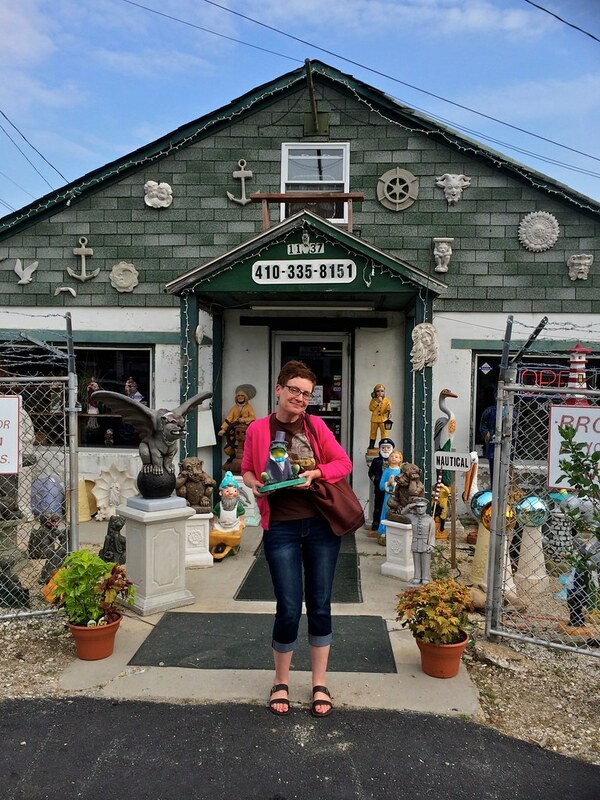 If you’re not local – send some local friends to go scope out the scene and get you something – it’s a perfect excuse to see pals in DelMarVa or have them bring your treasures to you next time they visit! 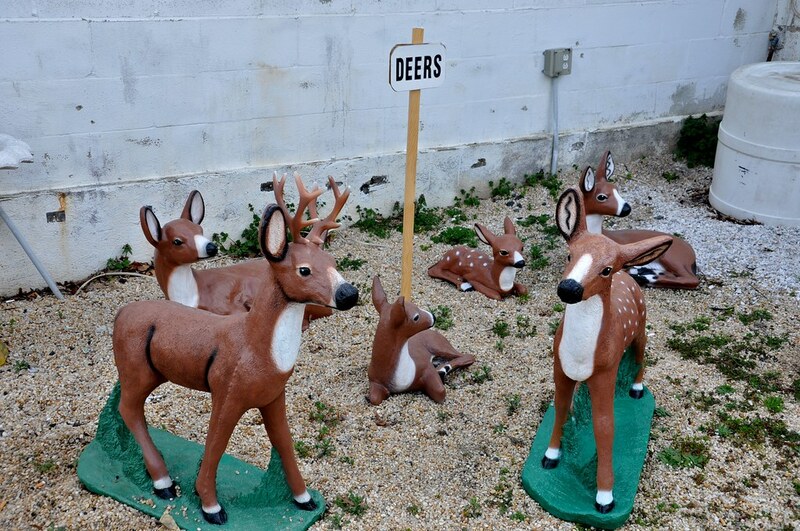 Know someone who would appreciate this great folk art of mid-century suburbia? Buy them something as a gift! Looking for Mid-century-modern stepping stones? I spied some nice flat round discs that would look fab in front of your Eichler! Or if you’re a “found art” type of person – heck the American Visionary Arts museum is right down the street – the “as is” section is a forager’s delight! Missing heads, crumbling feet, broken necks – at artistic statement is just waiting to be stated! 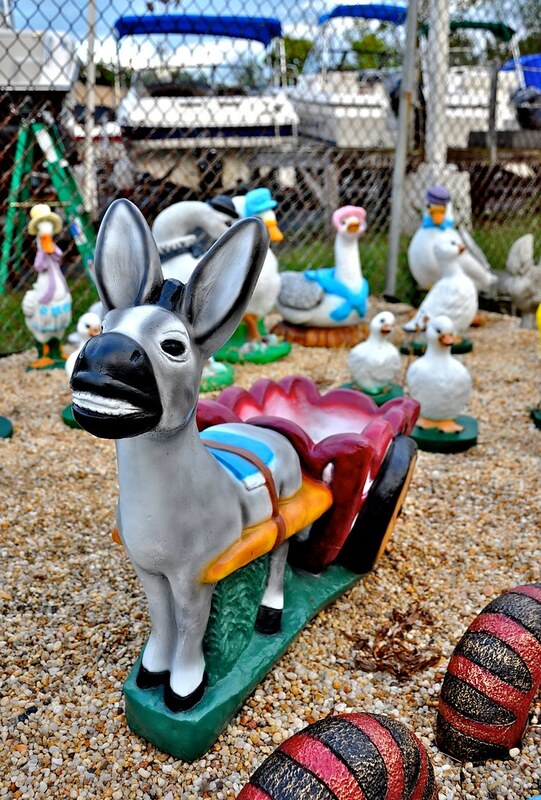 So, if you love places that keep the roadside unique, supporting people that have worked long and hard for all these years, products that are made in the USA and adding a bit of whimsy and fun to your yard, please visit Pat’s – and let her know that Retro Roadmap sent you! PreviousThe Very First Retro Roadmap Video – Thank You Kickstarter Supporters! NextPat’s Concrete: Update 2016 – Still Open!